Edible perennial wild allium found nearly year-round; all parts are edible. 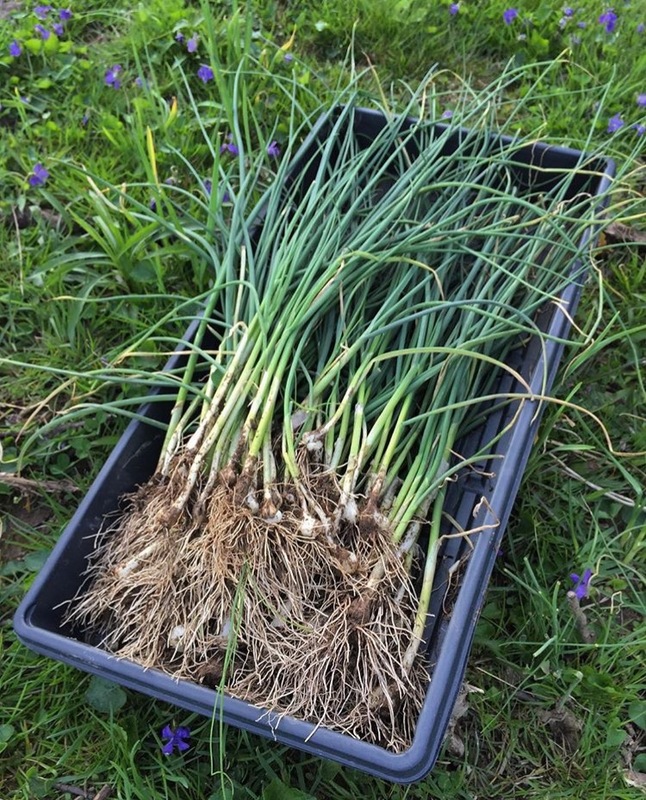 Simple and easy substitute for cultivated onions, chives, and garlic. Very common lawn, garden, and pasture weed. If you’ve ever mowed a lawn and noticed a whiff of onions in the air, you probably just chopped up some A. vineale. Grows in clusters and reproduces by sprouting bulbils underground and bulbil-like seeds aboveground, making it nearly impossible to eradicate. Greens begin to emerge in midwinter and will persist through the summer. Bulbs can be dug anytime but are best in the spring and into early summer, before the leaves die back. Flowers are also edible but you won’t often catch it in bloom. More commonly, the plant will produce aboveground bulbils in lieu of flowers, which will sprout in a wild Medusa-like cluster at the tip of the stalk before they’re knocked off and grow into new plants all around the parent. Field garlic is one of very few edible wild plants that can be found on the land at the height of winter throughout much of the temperate US. It is unmistakable in terms of positive identification, and a delight to the senses with its uniquely sweet wild allium flavor. Harvest the greens by chopping off a clump and dicing them up to use like you would green onions or chives. Bulbs can be used to impart a sweet allium flavor to dishes like eggs or beans, but use in smaller quantities than you would store-bought onions or garlic as this stuff can be pretty potent. New leaves will quickly reemerge following harvest, and new bulbs will almost assuredly be found where bulbs were dug in previous seasons thanks to the bulbils left behind in the soil. None. No other wild plant in North America looks or smells like field garlic, except perhaps Allium oleraceum, but it is far less common and not nearly as widely distributed.